2" diameter x 1/2" extra thick for maximum durability assorted colored wheels. 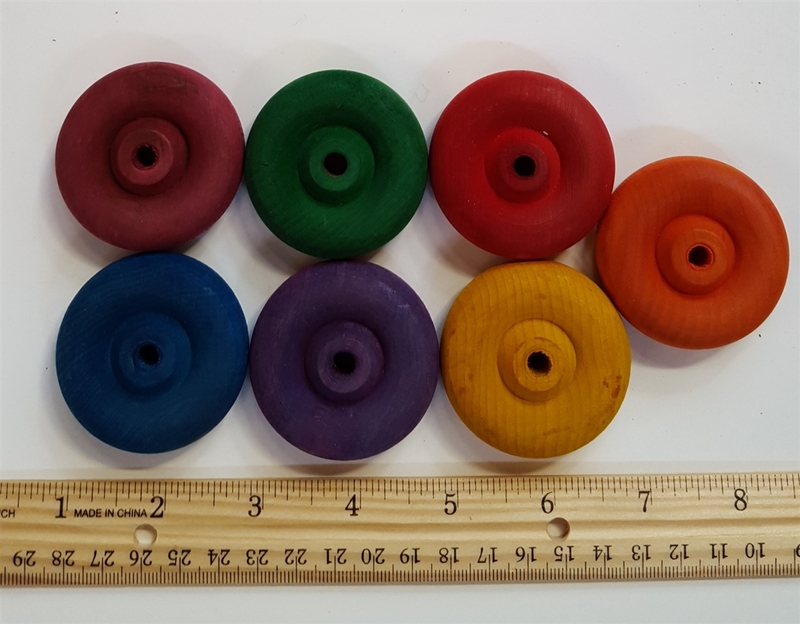 2" diameter x 1/2" extra thick for maximum durability assorted colored wheels. These are extra thick for maximum durability. 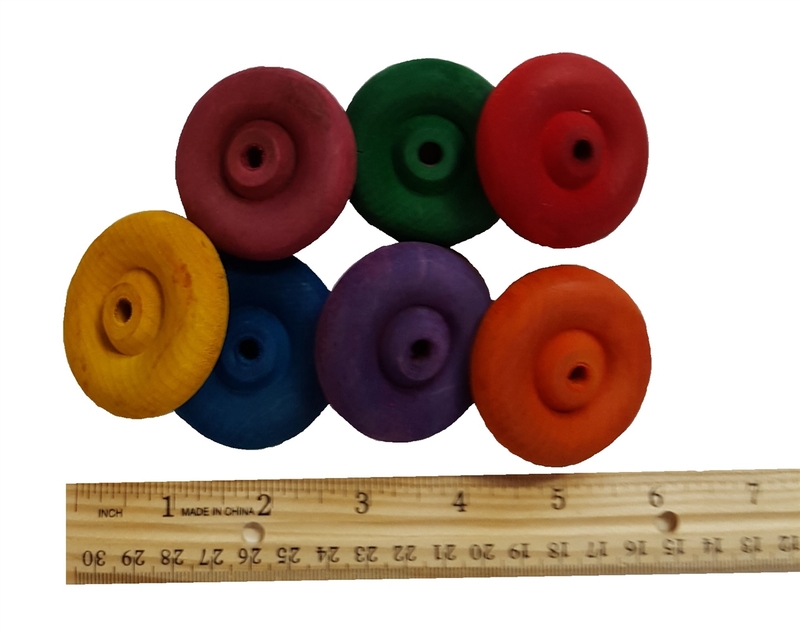 String them on a toy or leave them in the cage as a chew toy / play toy for all small critters.